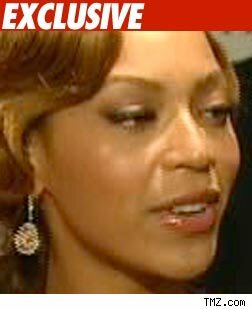 Beyonce's Dad Was Right Hoax, Hoax, Hoax!!! Beyonce's Dad Was Right -- Hoax, Hoax, Hoax!!! Beyonce has officially been cleared of all bad singing charges -- the atrocious supposed "board mix" of her performance on "The Today Show" last year was altered after all. Just as Mathew Knowles told us, the audio clip that many people believed was leaked from "Today" was indeed a fake. In fact, TMZ found the person behind the prank who was surprised it went as far as it did, saying, "It's a little bit crazy. No one in their right mind would sound like that, and no one would cheer for someone singing like that."